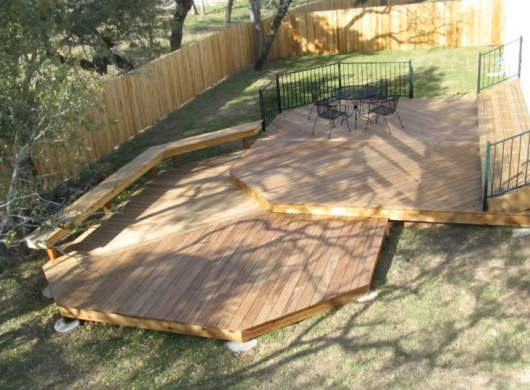 Searching for a deck that is perfect for entertaining? The multi-level deck design is ideal for entertaining! With two levels, you can party the night away on one and eat on the other. The possibilities for a multi-level deck are limitless. Our local deck builders can do this as a free standing deck or add it onto your current porch or deck! Call us with your multi-level deck ideas to learn about our options!